For those funnybook illiterate, Savage Dragon is the long running comic created by and written by AND illustrated by Erik Larsen. Tomorrow sees the release of the one hundred and sixty sixth issue by Mr. Larsen! An impressive feat accomplished only (I believe) by cartoonist Dave Sim on Cerebus which lasted for three hundred issues. I’ve been a die-hard fan of Savage Dragon since the beginning and although the series has had it’s highs and lows, Larsen has not been afraid to significantly change the status quo. A rarity in super-hero comics. Will tomorrow see the death of Dragon and see his son, Malcolm take over? Berkeley, CA – 22 November 2010 – It’s an event so unexpected — so shocking — that nothing will ever be the same. And we can’t tell you a thing about it! …but that would be telling. Make no mistake: SAVAGE DRAGON #166 and #167 contain huge, cataclysmic Earth-altering events. Your mind will be blown! Your senses will be shattered! But just this once, we’d prefer not to spell out the how, when and why — we’d prefer you find out about it in the pages of the comics themselves. 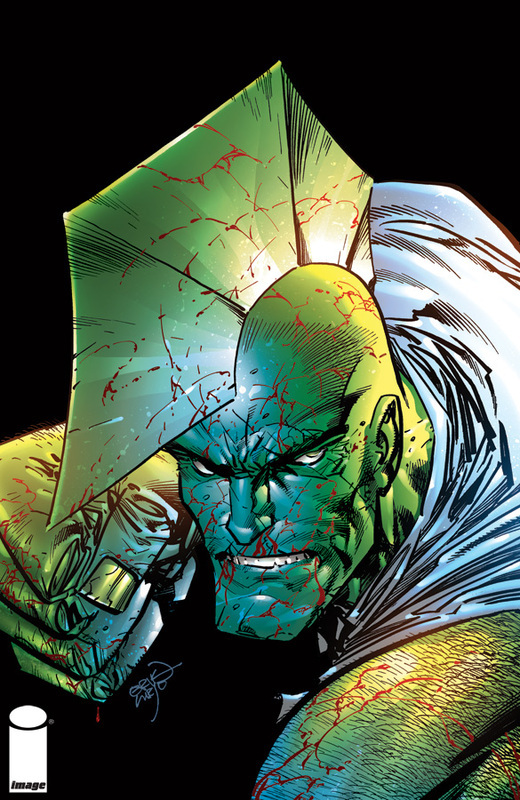 SAVAGE DRAGON #166 (SEPT100496), a 32-page full-color comic book for $3.50, will be in stores November 24, 2010. SAVAGE DRAGON #167 (OCT100515) continues the shattering finale on December 22, 2010. Altus Press Announces Another Wild Adventure For DOC SAVAGE!